UM/ UIM benefits (uninsured motorist/ underinsured motorist) are extended to insureds who are injured by someone without insurance or without enough insurance to cover their injuries. In a no-fault auto insurance state like Florida (see F.S. 627.7407), the first avenue of recovery for damages is one’s own personal injury protection (PIP) benefits. One can receive up to $10,000 in PIP benefits, which cover 80 percent of one’s medical bills and 60 percent of lost wages. However, one can only receive $2,500 unless they can prove emergency care was medically necessary (per a recent legislative change), and they can only pursue compensation from the other driver if they can show their injury is sufficiently serious/ disabling. But just because you have UM/ UIM coverage doesn’t mean getting it is a cakewalk. More often than not, insurers will try to offer low-ball settlement agreements or sometimes deny your claim outright. That’s what happened in a recent case before the Michigan Supreme Court (also in a no-fault insurance state). The question was whether plaintiff was entitled to receive interest on a UIM claim that insurer denied, but was later decided in plaintiff’s favor before an arbitrator. Defendant argued that the UIM claim was reasonably in dispute, pursuant to the language in plaintiff’s auto insurance policy, and that plaintiff’s filing of a UIM claim “essentially” placed him in the shoes of a third-party claimant. The state supreme court, however, ruled that insureds can’t be considered third-party claimants when filing a claim under their own insurance policy for UIM benefits. When a UIM claim is not timely paid in that state, in violation of the Uniform Trade Practices Act, insurers may be compelled to pay a penalty. However, because plaintiff wasn’t a third-party under UTPA (the basis on which a claim for interest on the original payment was denied), the state high court reversed with instructions to compel insurer to pay that interest. What happened here was plaintiff and his wife were injured in a car accident in 2004. The driver of the other car caused the accident. That driver’s no-fault insurance policy provided benefits of up to $20,000 per person and $40,000 per crash. 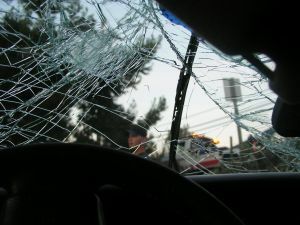 A month after the crash, plaintiff’s son (who later became the plaintiff himself after both his parents died) sent a letter to his parents’ auto insurer explaining at-fault driver’s liability insurance was insufficient to cover the total injuries sustained, and that they would be seeking UIM benefits. Their own police provided up to $100,000 per person and $300,000 per accident. They sought UIM benefits in the amount of $160,000 and $80,000, respectively. Plaintiffs sought arbitration. When defendant refused, plaintiff filed a lawsuit. Trial court ordered the case to arbitration while maintaining jurisdiction. For a myriad of reasons, the case stayed stagnant for six years. During this time, plaintiffs died of circumstances unrelated to the crash. Their son, now plaintiff, finally got the process moving again. 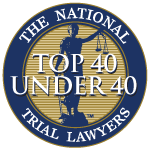 Arbitrator awarded $80,000 for decedent father’s injuries and $33,000 for decedent mother’s injuries. The awards were supposed to be inclusive of interest. Plaintiff sought a penalty interest of 12 percent under UTPA. Trial court affirmed arbitration award but declined to grant interest. Appellate court affirmed, but state supreme court reversed. The court noted firstly that there is no “reasonably in dispute” exemption in the insurance contract. Further, for purposes of UTPA, insurer cannot be considered a third party. Interest is to be awarded.